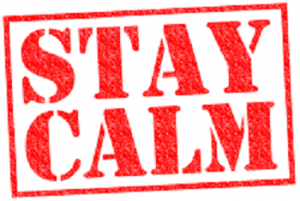 Have you ever been in a Stressful or frightening situation, Well REMAIN CALM. We will go further in depth of techniques and ways a keeping your head when the moment at hand begs to differ. This advice will cover information on adults, kids and even our pets. Yes, even your pets can get stressed out and panic. Some of the simplest techniques could help you save lives. Breath, focus, distraction, physical contact and comfort are just a few things that can be used in any situation. When Fight or flight kicks in make sure your the one with the upper hand. How you react can make all the difference. Listen to this broadcast or download “Beat the Stress Remain Calm” in player below! Think about what you use for yourself and family to stay level. Now come join us in the discussion in player above, we’d love to hear what you do for your family when in need. Lets keep our village growing. Visit A Family Affair on Facebook go HERE! Previous: Previous post: Sepsis – Blood Poisoning Fast Lane to Death!